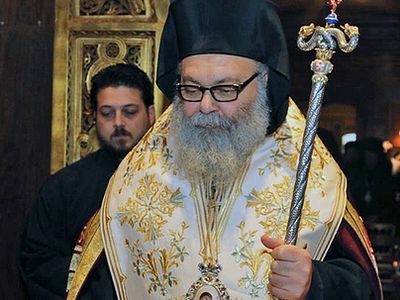 It was with great sadness that we learned of the falling asleep in our Lord Jesus Christ of His Eminence Metropolitan Constantine (Papastephanou) on Sunday April 17th, 2016. I was personally blessed to know Metropolitan Constantine during my time in Damascus, and I can certainly testify to his holiness, and prayerfulness. It can truly be said that he was a man of God. Metropolitan Constantine was born in 1924 in Damascus, Syria where he was educated in the city's parochial schools. 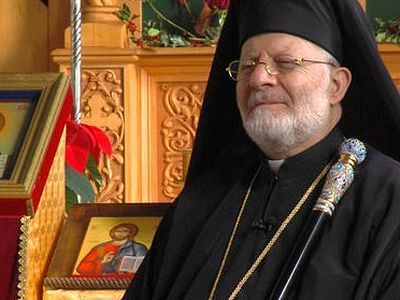 Desirous of entering upon an ecclesiastical career, His Eminence was blessed to study in Greece before he was ordained to the holy priesthood in 1951 by Patriarch Alexander III (Tahan) of Antioch. He then served as a priest in Damascus and its vicinity for eighteen years. During the late 1950s he was appointed as the director of the Balamand Clerical School in north Lebanon, and in 1964 was assigned by Patriarch Theodosios VI (Abourjaily) VI as abbot of the Holy Patriarchal Monastery of the Great-martyr George al-Humayra in the "Valley of the Christians" in Syria. In 1967, he was given additional responsibilities as general steward for the Archdiocese of Hama, Syria. On October 7th, 1969 he was elected to the sacred episcopacy by the Holy Synod of the Church of Antioch for the Archdiocese of Baghdad, Kuwait and the Arabian Peninsula, and was consecrated at the Holy Patriarchal Monastery of the Glorious Prophet Elias in Dhour al-Shweir, Lebanon on October 17th. On October 23rd, 1969 Metropolitan Constantine arrived in his see city of Baghdad and served his first Divine Liturgy at the Cathedral of St. Andrew the Apostle. In 1984, Metropolitan Constantine was named to the Synodal Commission, charged with overseeing the St. John of Damascus Patriarchal Institute of Theology at Balamand, and in 1986 was named administrator/dean of the Institute. 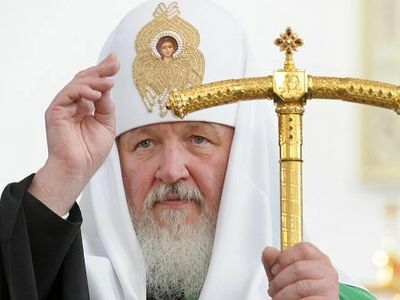 Due to his failing health, Metropolitan Constantine submitted his request initially to Patriarch Ignatios IV (Hazim) and later to Patriarch John X for retirement which was presented to and granted by the Holy Synod of Antioch on June 17th, 2014. The United States and other foreign powers must stop financing and arming Syria’s myriad groups of fighters if the country has any hope of healing, Syria’s orthodox Christian leader told Al-Monitor in an exclusive interview.